On Easter Sunday Elbow Muggins will be holding the first of three giveaways. 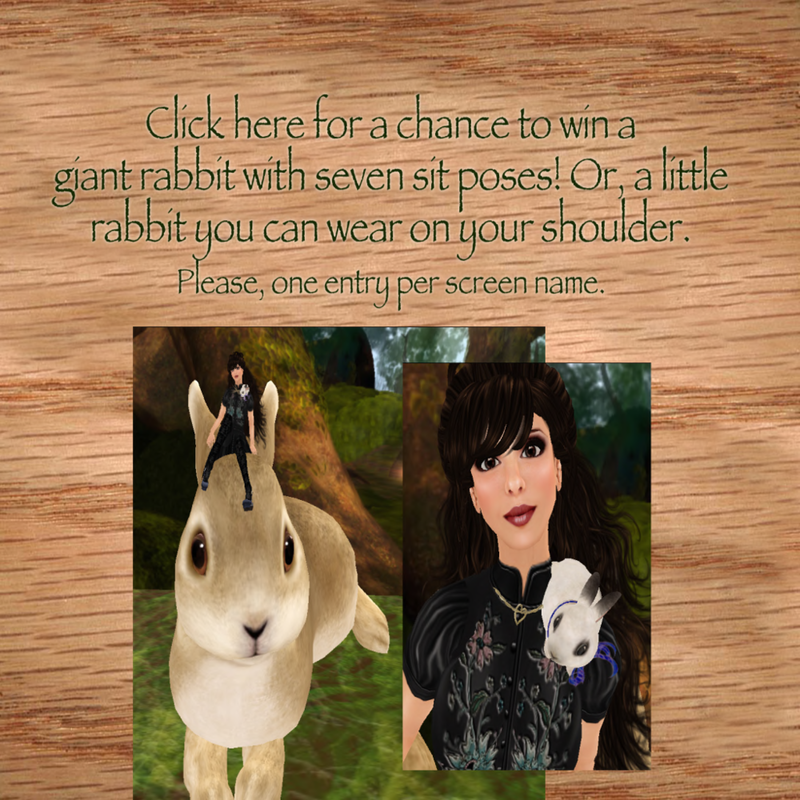 This first prize will be two wearable bunnies as show in this photo. The only thing you need to do between now and Sunday the 24th is enter by going to PiRabbit Exhibit at the Art’e Gallery. You’ll see the giveaway sign there, click that and you’re automatically entered. Or, send Elbow Muggins a notecard requesting that you be entered. Only one entry per screen name please. PiRabbit is a story and art exhibit you can feel is safe for kids. An inspiring children’s story that adults will also enjoy reading.